I decided that I would start to get ready for the weekend of fishing today by baiting and setting my killie trap first thing in the morning. I will plan to check it each day a couple times a day in order to cull out the little killies in favor of the big ones. I think the big ones are much better bait for the fluke I am after. We'll see if my diligence pays off. The sweet figs have been a huge bonus this week. I love them - the only problem being that I can't stop gorging myself on them. I tell myself I will only have one, no, two at a time and then I keep going back for more. It's a big bag but it's only a matter of time until they are gone. And I'm not even half way finished. Rationing is going to be very important - especially with something sweet. It is difficult to resist. I feel my will power slipping away and once you start down that dark and lonely path, there's no return. I will try to be strong and stay focused. I had a little mishap at dinner tonight. I put a piece of fish into the toaster over and then I got distracted and forgot that I put it there. Guess what happened? After clearing the smoke and turning off the fire alarm I pulled out my severely charred piece of fish. It was certainly crispy. I ate it. Whoops! 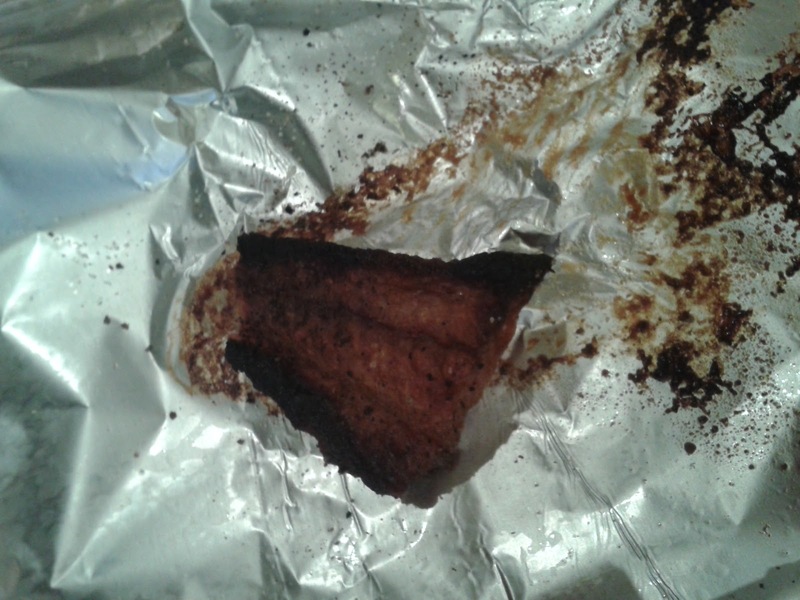 Last piece of fish - burned to a crisp. In addition I started making use of my nori and rice and made a couple hand rolls. 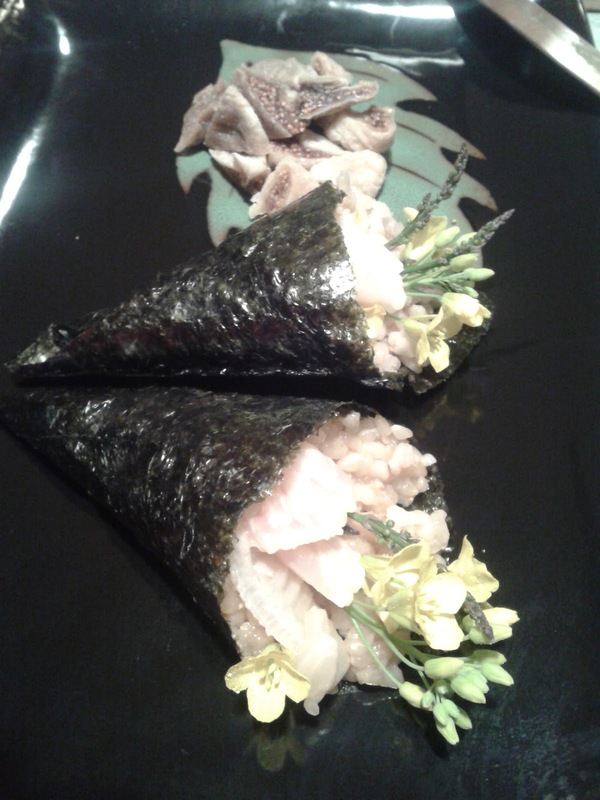 I made them look nicer by including some yellow kale flowers and sweeter by adding some sliced figs - but I gotta tell you, without the soy sauce and wasabi, the sushi rolls are just not the same.